Think of your excretory system as the hotel housekeepers of your body. Your liver, skin lungs, kidneys and other excretory organs work as a team to seek out and sweep out the toxins and impurities that muddy up your body systems. If you trash your hotel room, it makes housekeeping a longer, more exhaustive process, and the same is true of your body. Eating healthy foods, drinking plenty of fluids, getting regular exercise and avoiding toxins are just a few things you can do to make things easier on your body's cleaners. 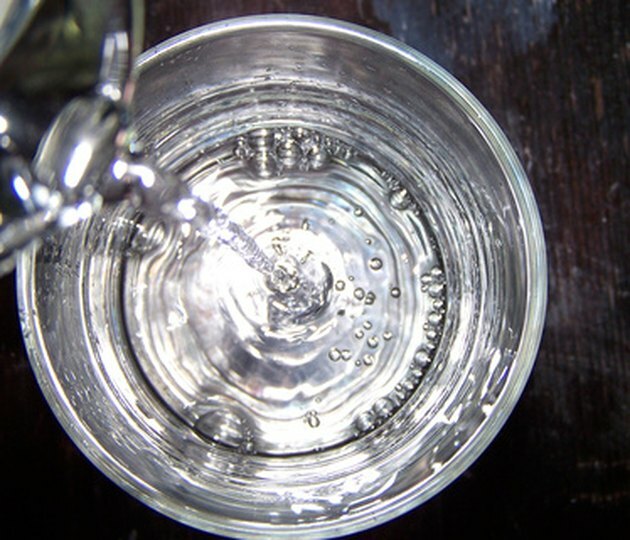 Water has a dual role in the detox process. First, it flushes your body systems, removing toxins and carrying them out of the body. Second, it helps deliver the nutrients your cells need to perform all functions, inducing detox, according to the Mayo Clinic. If you're not constantly replenishing your body's water supply, your body reserves its water for its most essential functions. Drink eight glasses of water each day to keep your excretory system nourished and functioning properly. Your skin is an important part of the excretory system. One of the ways your body excretes toxins is through sweat. When you exercise, you sweat more and you also need more water. Sweat is made up of some of the processes of respiration, such as dead cells, according to the Franklin Institute. Exercise also provides a fresh, highly oxygenated blood supply to the major organs of the excretory system. Aim to get 30 to 60 minutes of exercise three to five times per week. Like all systems of the body, your excretory system needs a plentiful supply of vitamins, minerals and energy to regulate kidney and liver function and to keep all systems working properly. This is best accomplished by eating a variety of nutrient-dense foods. Fruits, vegetables, legumes and whole grains are some of the most nutrient-rich foods you can give your body. Lean proteins and low-fat dairy can also provide essential nutrients to your diet. Avoid fast food, processed foods, junk food and empty calories to keep your excretory system working as it should. Aside from being less nutrient dense, these foods typically contain additives and preservatives that your excretory system has to work hard to process. The more toxins you ingest, the bigger the workload your excretory system has to handle. There are some parts of even healthy foods that the body cannot process and some byproducts of bodily function that occur naturally. Then there are the additional elements of waste your system must process. Some ways to avoid these excess toxins are to avoid drugs, alcohol and smoking. Be conscious of the lotions and body-care products you use. In many cases, slathering these on have the same effect as ingesting them--they enter your blood stream and must be processed by the liver. Choose organic foods whenever possible to decrease the amount of pesticides you consume. How Long Does It Take to Detox Your Body on a Raw Food Diet?